Dream of riding a unicorn? Meet super-speedy Electra! 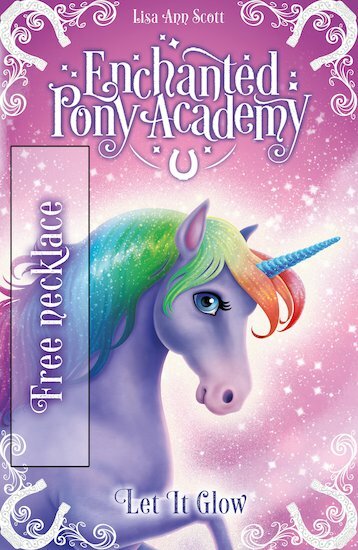 Welcome to the Enchanted Pony Academy, where glittery ponies learn to use their magic. Electra loves to be outside, running as fast as she can – and she’s fast! Now it’s time to take her first real step towards becoming a royal pony: being ridden by a royal child for the first time. Electra can’t wait! Trouble is, working with a rider is much harder than it looks. When Electra accidentally throws a prince onto the dirt, the other children are scared to get in the saddle. Will she ever meet her perfect royal rider?